Danielle Howell is Dan Howell's twin sister. Carrie Fletcher is Dani's best friend. 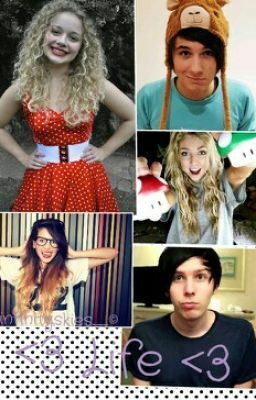 Carrie and Dani are bullied by Phil Lester and Jamie Faerie. The thing is, Carrie is abused at 'home' by her kidnappers, and Dan and Dani are abused at home bye their adoptive 'parents'. Well, welcome to their life or as they call it, Hell.